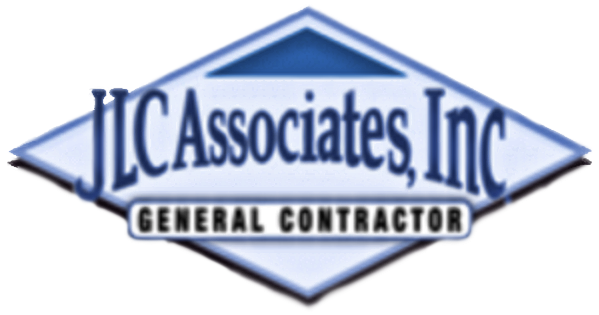 About Us – JLC ASSOCIATES, INC.
JLC is a company built on consistently strong performance. We focus on providing outstanding service and knowledge that enhances long-term relationships with an extensive and varied client base. The Project Management group has an immense and diverse background spanning disciplines in property management, construction management, project management and field work. Our field staff’s over 100 years of project experience enables them to control and efficiently manage schedules, productivity, and quality on all types of job sites. A reputation for dependability and professionalism has allowed us to establish a unique working environment that promotes employee longevity within our firm. The company philosophy is to demonstrate to clients that their project will be completed with a ‘can-do’ mentality by teams who do not include the word ‘fail’ in their vocabularies. Our job is to make yours easier! Honor, courage, commitment, integrity, and respect are just a few of the words that can be used when describing Jeff’s core values. Growing up as the son of a Marine Corps Colonel certainly contributed to the development of his character, but Jeff had innate leadership abilities that were apparent from a very young age. For him, leading by example has always meant behaving in a way that inspires others, so it’s no surprise that in school Jeff was always chosen by his peers to preside over whatever task, challenge, or team activity was at hand. Jeff attended college at the University of Washington and the University of California, Santa Barbara, where he obtained a degree in Business Economics in 1982. After graduating from college, he began working in the construction industry as both a painter and a plumber. Eventually transitioning into General Contracting, Jeff held positions as a Superintendent and a Project Manager. These experiences allowed him to master his skills within the Tenant Improvement field. Realizing that there weren’t many advancement opportunities left at his current employer, it was only natural for Jeff to start his own company that could offer a level of service second to none. JLC Associates Inc. was founded in January of 1996 on the same guiding principles that molded Jeff into the person he is today. It should come as no shock that we continue to serve many of the same clients that began working with JLC 22 years ago! As a young boy, Mike loved to build things. Whether it was model cars or a tree house, Mike always had a passion for making something out of nothing. His exposure to the industry started while very young, as some of his earliest memories included playing on stacks of building materials at his uncle’s roofing company and visiting the latest housing development that his father oversaw. It made sense that wood shop and drafting classes in junior high and high school were among his favorites, but it wasn’t until Mike started college that he realized he could turn this passion into a successful career. Initially thinking he wanted to be a custom home builder, that quickly changed after landing a job with a commercial General Contractor in 1994. Having held positions as a Superintendent, Estimator, and Project Manager, Mike’s project types included medical office buildings, retail stores, and corporate office spaces in both Core & Shell and Tenant Improvement. His experience continued with a few more prominent Southern California contracting firms where he ultimately remained within the T.I. marketplace. Mike believes that JLC is the best boutique T.I. contractor in all of Southern California and is thrilled to have found his permanent home. Mike’s love for his work is unmatched, and he takes great pride in his outstanding reputation within the industry, including accolades from developers, property managers, architects, engineers, subcontractors, and even his competition!